Luca Volpe sara’ ospite del programma TV “Cruising with the Stars” in onda sul canale SKY 284. Un programma di grande ascolti seguito in tutta Europa da migliaia di telespetatori vedra’ protagonista la magia ed il mistero di Luca Volpe e Rebecca Lea. Per la prima volta avrete la possibilita’ di vedere clips del suo show dal vivo ed inoltre presentera’ due incredibili esperimenti della mente in studio! Riviera Circle Magic in UK. 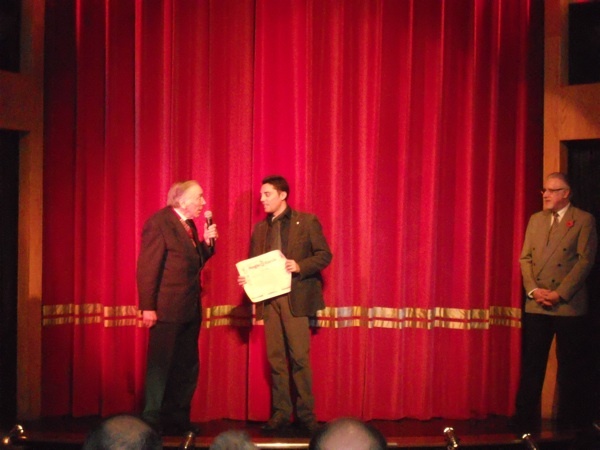 Continuano i successi di Luca Volpe con le sue conferenze in UK. 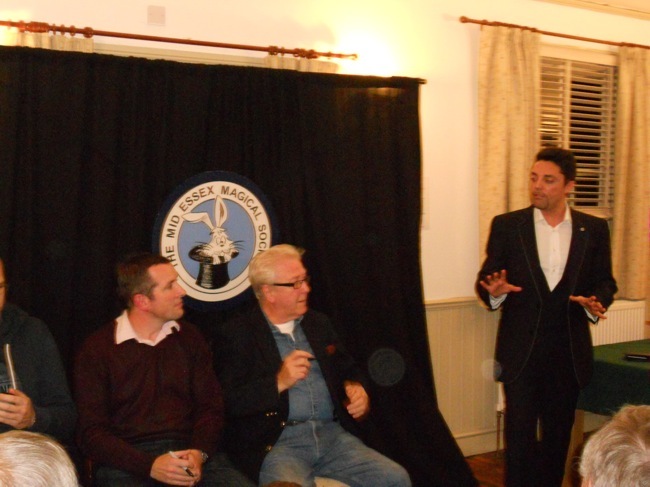 Grande riscontro ottenuto al Midd Essex Magic Society. On Tuesday the 20th November 2012 we were treated to a very professional lecture by Luca Volpe. 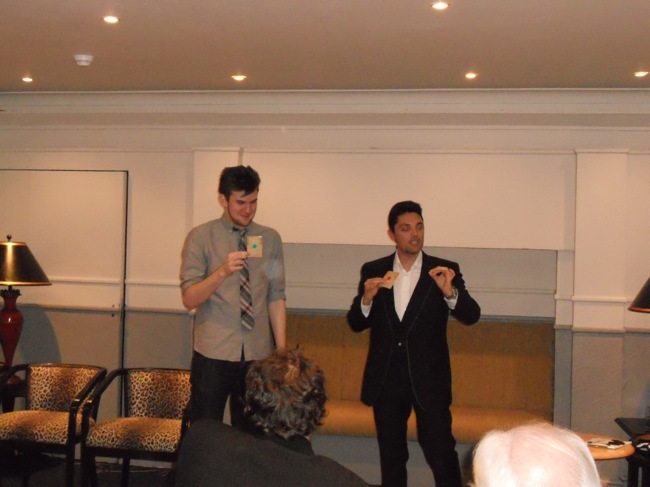 It was a most enjoyable and informative evening consisting of many useful hints and tips when presenting close up and stage Mentalism.The lecture was of an excellent structure starting with the presentation of effects and then followed by very detailed and clear explanations in order to be able to perform to one’s own style and personality. It was an a great evening covering many aspects of presentation, humour and the importance of body language. Our members stated that it was very worthwhile as he demonstrated a practical approach to every effect that was demonstrated. A great lecture, well delivered by a very enthusiastic magician of whom I am sure we will be hearing his name a great deal in the future. 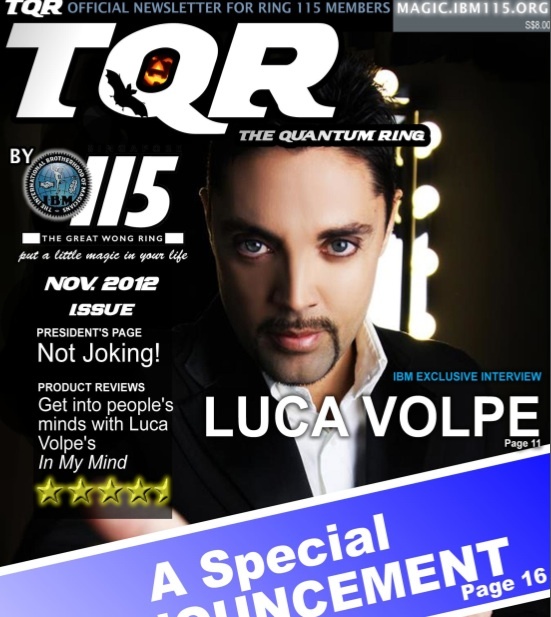 Luca Volpe e’ questo mese in copertina e con una sua intervista, nel magic magazine del Ring 115 di Singapore. Oggi pomeriggio al Magic Circle di Londra si e’ tenuta la consegna ufficiale del prestigioso dimploma A.I.M.C. (Associate Inner Magic Circle) con Silver Star a Luca Volpe, consegnato personalmente dal presidente Jack Delvin. Una prestigiosa gratifica per il suo Live Show e per il suo internazionale contributo al mentalismo.